Pickup Baixo EMG P5. Cor: Black. Based off the EMG P, the P5 is built specifically for five string bass guitar. Based off the EMG P, the P5 is built specifically for five string bass guitar. 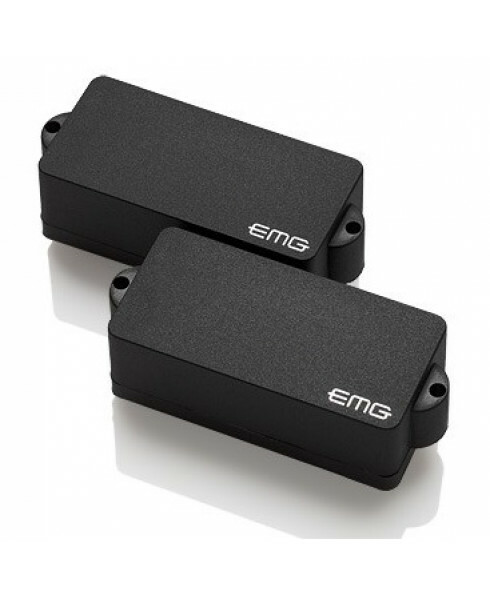 The EMG P5 covers a wide sonic palette of classic and modern bass sounds. Because the P5 utilizes ceramic magnets coupled with short, squat coils, the tone has brilliant high-end articulation, warmth, and incredible low end punch. Countless pros use this bass pickup because of its natural presence, superior definition, and low noise. Great for all styles of music in the studio or on the stage. 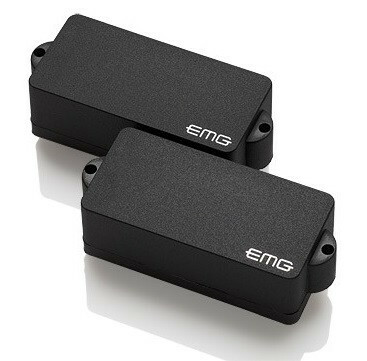 Utilizing EMG's solderless wiring, this pickup is easy to install at home.